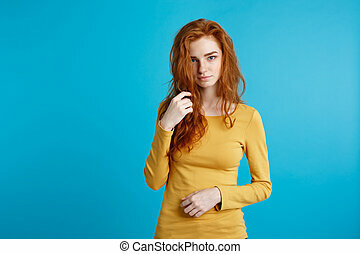 attractive young brunette woman in yellow dress on the blue background. 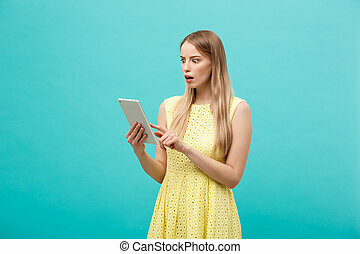 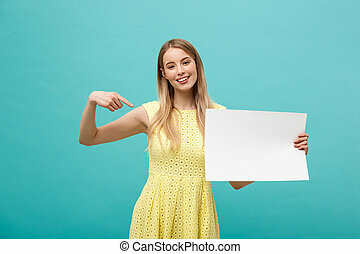 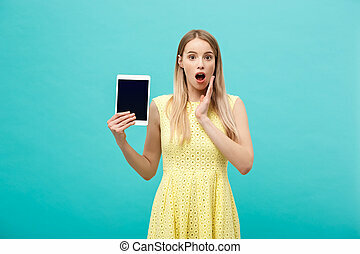 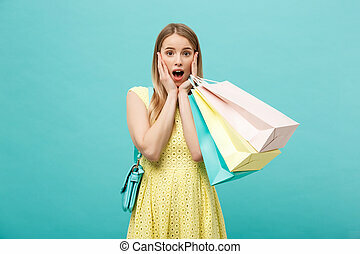 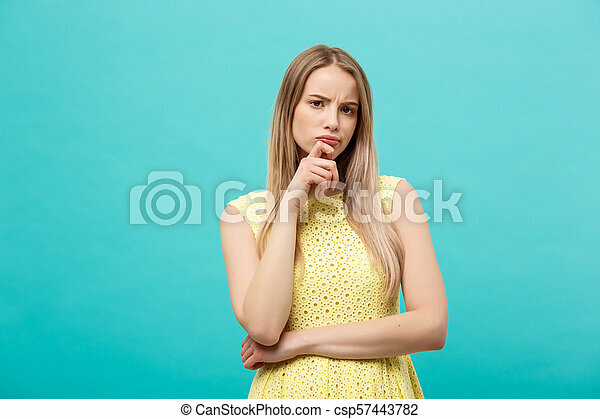 Lifestyle Concept: Portrait shocked young brunette woman in yellow summer dress posing with shopping bags isolated over pastel blue background. 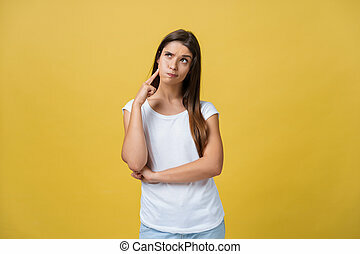 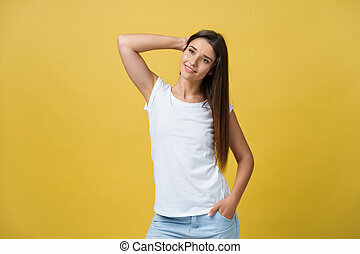 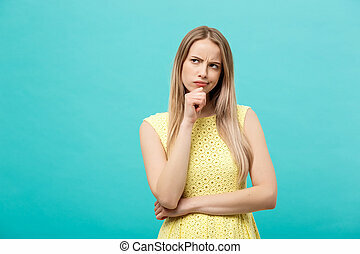 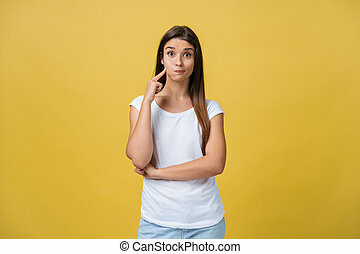 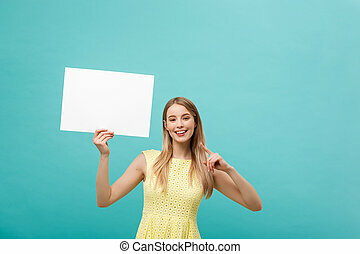 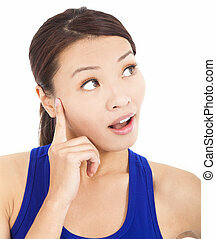 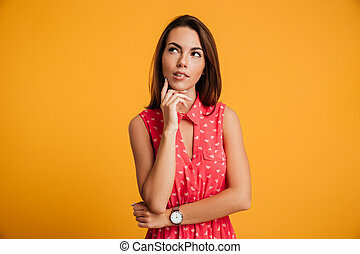 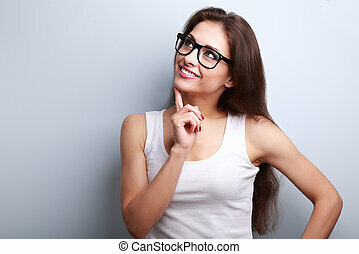 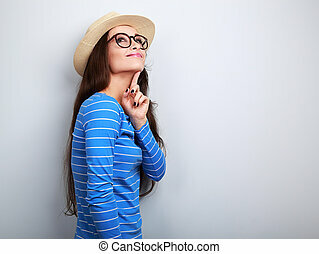 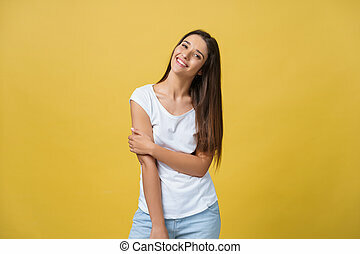 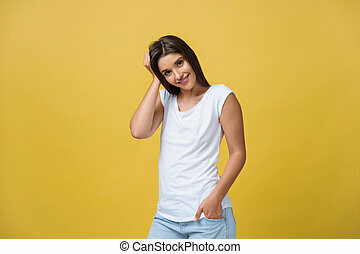 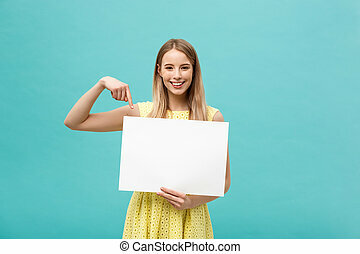 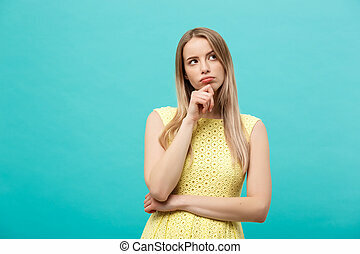 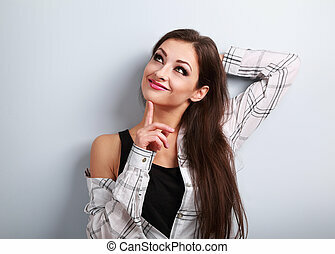 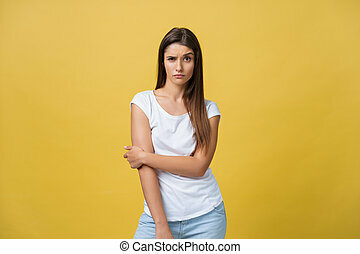 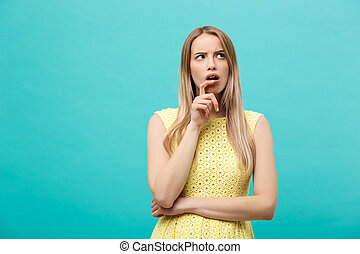 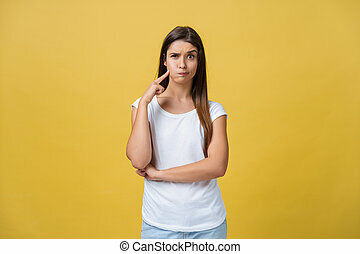 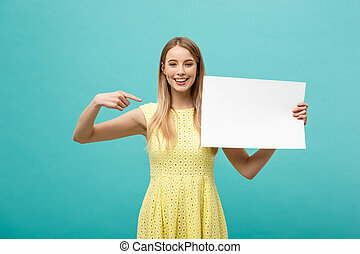 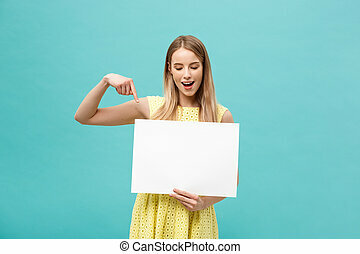 Portrait of a beautiful young woman thinking, isolated on yellow background. 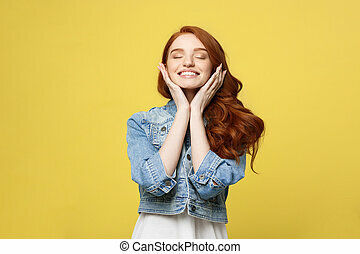 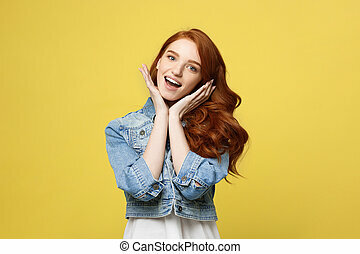 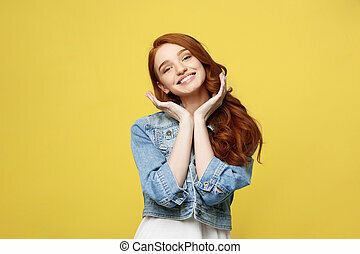 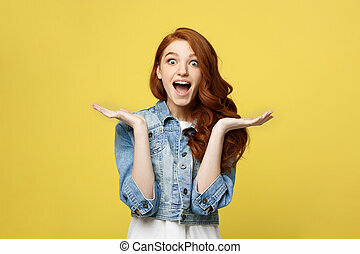 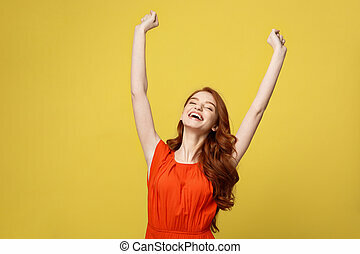 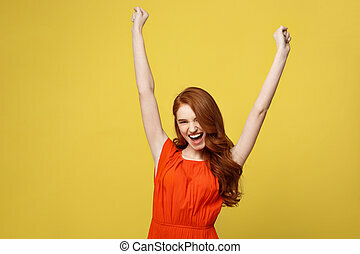 Lifestlye, freedom and happiness concept - Portrait Young beautiful happy girl in orange gorgeous dress showing hand in air. 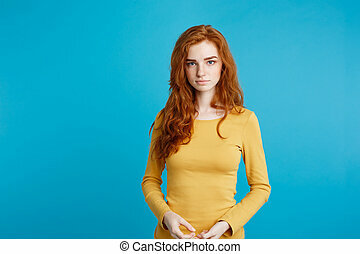 Isolated on bright yellow background.